With CircuitPython you can easily read IR sensor pulses from Python code. Built-in to CircuitPython is a special pulseio module which actually does most of the work of reading fast IR receiver pulses for you. Even better with Python code you can very easily store and manipulate large lists of pulse lengths. There's even a handy Adafruit CircuitPython IRRemote module which simplifies some of the processing logic for reading generic remote controls. CircuitPython makes it very easy to read IR signals! To read raw IR signals you'll need to connect an IR sensor to your board as shown on the previous pages. In this example we'll assume the sensor output is connected to pin D2 on your board. 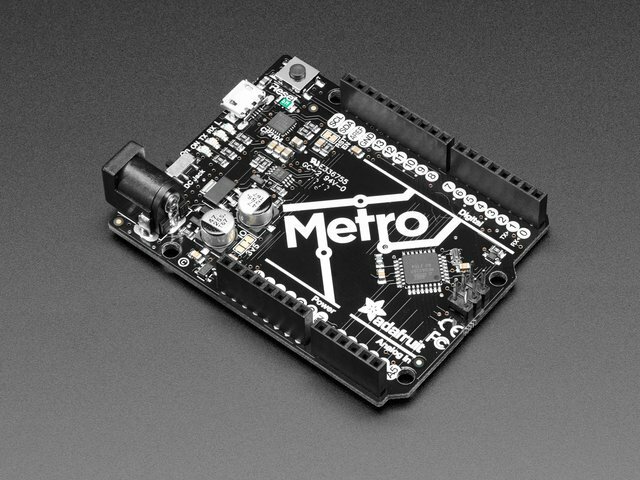 As mentioned you'll also need to install the Adafruit CircuitPython IRRemote library on your CircuitPython board. Or download the file from the latest release on the Adafruit CircuitPython IRRemote releases page. Before continuing make sure your board's lib folder or root filesystem has the adafruit_irremote.mpy module copied over. 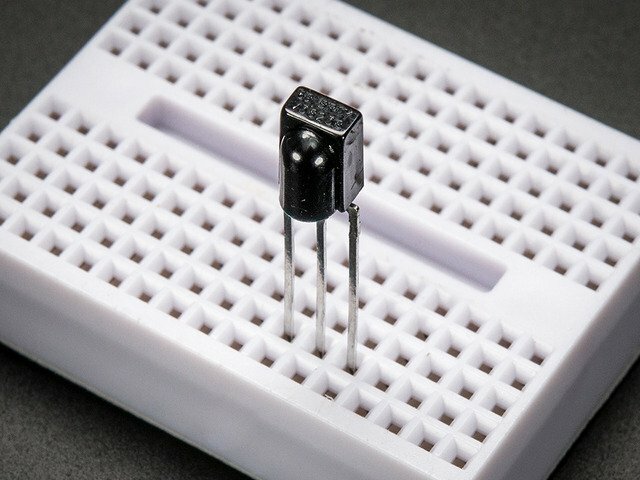 Board pin - This is a required parameter which indicates which pin is connected to the output of the IR receiver. maxlen - This specifies the number of pulse durations to record. For most remote controls a value of 200 will be more than enough pulse durations to store. If you set this too high you might use more memory than your board has available so be careful with what value you pick. idle_state - This is a boolean that indicates the 'default' or idle state of the pulse pin. 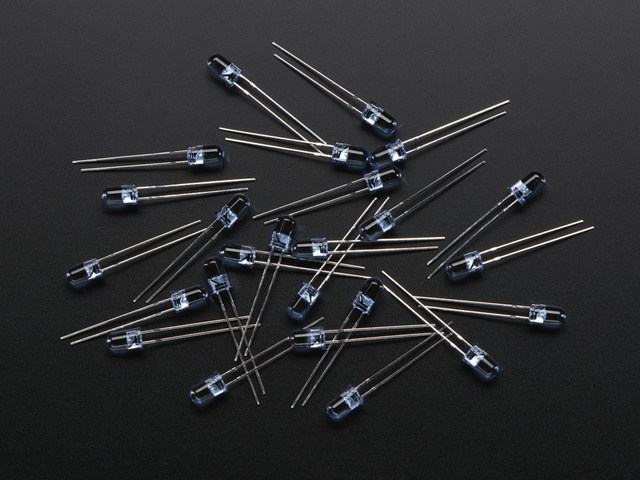 For IR receivers they typically idle in a high logic or True state so setting the idle_state to True indicates the normal state is high logic level. Each duration is the time in milliseconds that the pulse was at a specific logic level. The very first pulse is a maximum value of 65535 because it represents the amount of time the sensor was waiting for the pulse to start (i.e. how long it was in the default high logic level idle state). Just like with the Arduino code on the previous page you can ignore this first value. The next two values are interesting, the next pulse value shows the sensor received a pulse that was about 9 milliseconds long (or ~9000 microseconds). Then the sensor received no pulse for about 4 milliseconds. This pair of values represents a single pulse and the start of the remote control signal. It's good to see a value of ~9ms on and ~4m off as that's a common preamble or start for IR codes! Aim your remote control at the receiver and press a button. You should see the REPL return to normal operation. This means the decoder was able to detect an IR remote signal and returned the raw list of pulse values. One very useful thing the decoder is doing internally is detecting and ignoring noise or extraneous pulse widths, like a long starting pulse width before the remote control is detected. This is very useful as it simplifies your IR processing code--you can focus on just looking at the 'cleaned up' pulse lengths! Oh no, the comparison failed and returned false! What happened, wasn't the same button pressed? It turns out the timing between pulses can vary in small ways. If you look at the individual pulse lengths of each array you'll see they're close but not exactly the same. If you compare raw pulses you need to add a 'fuzzyness' that compares values that are close but not exactly the same. Success! Both pulses appear to be the same when using a fuzzy comparison. By default the comparison will consider pulses the same if they're within 20% of each other, but you can change that fuzzyness by setting the fuzzyness keyword to a different value. The fuzzyness value is a percentage from 0 to 1.0 (or 0 to 100%) where the pulses must be within that percent of each other's timing. Lower values are stricter and require more similar pulses, whereas higher values are less strict and might allow noise or incorrect pulses to appear the same. In general stick with the 20% fuzzyness unless you run into more problematic IR signals. Let's tie everything together by making a complete program that waits for the button above to be pressed and prints a message. You can use the recorded pulse list in your program to remember the previously recorded pulse and compare new ones against it. To detect a different key press just record it with the steps above and update the pulse list in the code. 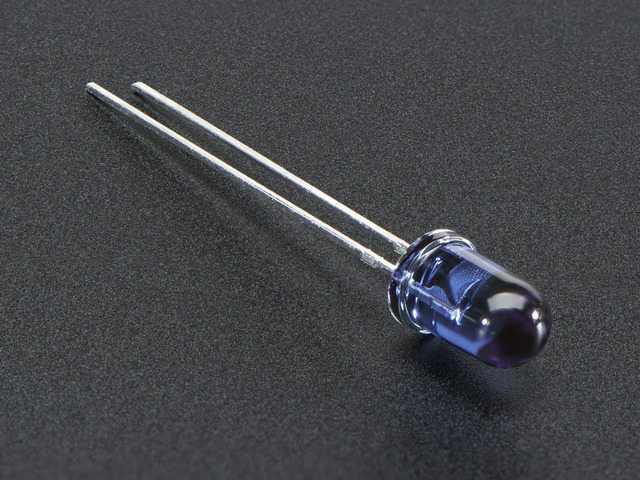 IR_PIN = board.D2  # Pin connected to IR receiver. # Create pulse input and IR decoder. # Loop waiting to receive pulses. # Wait for a pulse to be detected. # Got a pulse, now compare. Now when you press the remote control button you should see a message printed at the REPL! That's all there is to basic raw IR pulse detection and comparison with CircuitPython! The code on this page can be handy for basic or unknown remote control protocol detection. 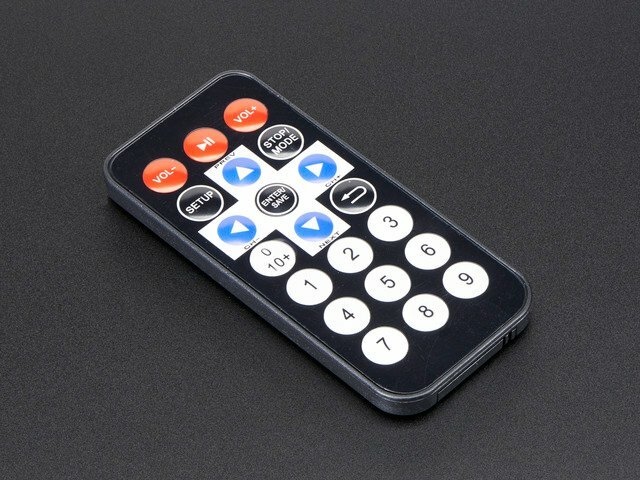 However be aware that remote controls are actually quite advanced and sometimes don't behave the way you expect--like pressing a button multiple times might not actually send the full code each time, instead the remote might send a shorter repeat code! This means the basic raw IR detection shown here could fail because it doesn't expect a repeat code when one is seen. It turns out general IR remote detection is so advanced it's best handled by a separate library which can decode repeat codes and more. For CircuitPython check out the IRLibCP module from Chris Young, it has much more full featured IR remote decoding support! This guide was first published on Jul 29, 2012. It was last updated on Jul 29, 2012. This page (CircuitPython) was last updated on Apr 19, 2019.